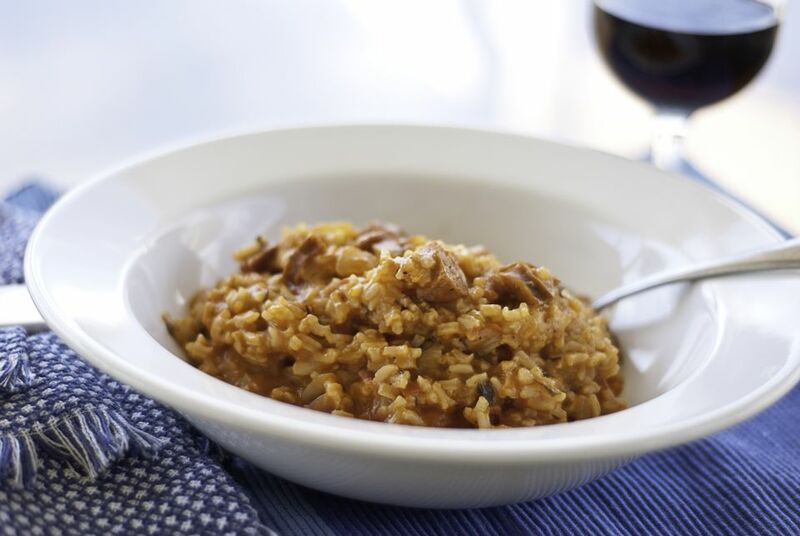 This delicious ham and rice jambalaya recipe is easy to prepare. This one-skillet meal is made with ham, tomatoes, rice, and peppers, along with traditional seasonings. Try making this the next time you're not sure what to make for dinner. Heat oil and butter in a Dutch oven or heavy large saucepan; add onions, bell pepper, and garlic. Cook, stirring occasionally until lightly browned. Add ham and rice; cook and stir until rice is well coated with oil. Add thyme, salt, hot sauce, tomatoes, and chicken broth. Cover and simmer until rice is tender and liquid absorbed, about 20 to 25 minutes. Taste for seasoning and add more salt and pepper sauce as needed.